Coupons valid until April 30, 2019. May redeem multiple coupons per person. Maximum of 2 coupons can be combined for a longer stay. Excludes December 23rd till January 3rd. Check in at 2 PM, Check out at 12 PM. Kids below 5 years of age can stay for free. Extra beds are available for an extra $20 charge. Pets are not allowed. Reservation required on 01 345 676 or 70 444 688, quote Gosawa coupon. Upon availability. Cancellation policy: reservations must be cancelled 48 hours prior, otherwise coupons are considered as used. Coupons must be printed. No carry over. VAT included in price. Standard terms & conditions apply. 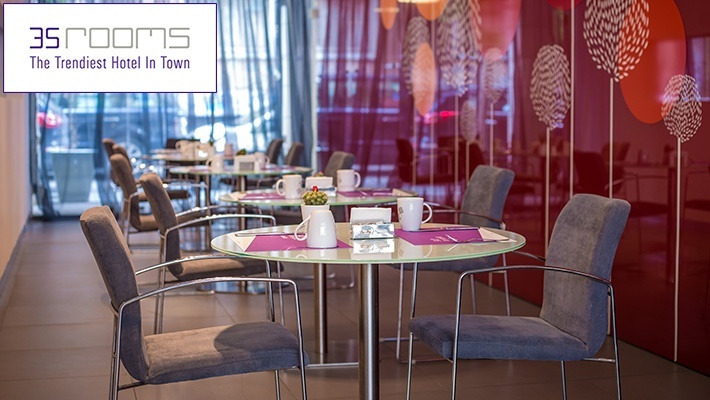 Stay at a trendy hotel in the middle of the bustling streets of Hamra! 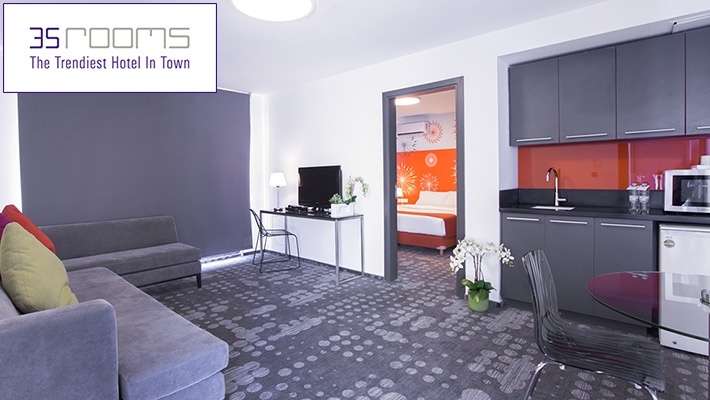 Enjoy luxury, comfort and modernity with a One Night Stay in a Junior Suite for Two at 35 Rooms, only $66 instead of $110. A getaway like no other! 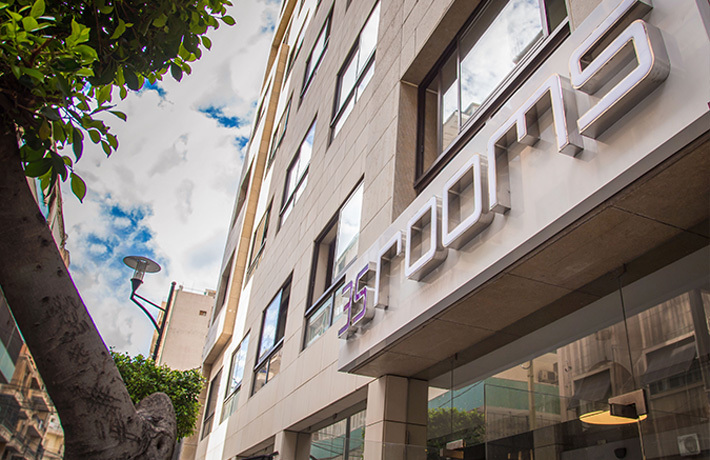 Ideally located in Hamra, in the heart of Beirut - the capital city, 35 rooms is the perfect mix of comfort and originality, offering a stylish and trendy stay for family vacations, weekend getaways and executive business trips. 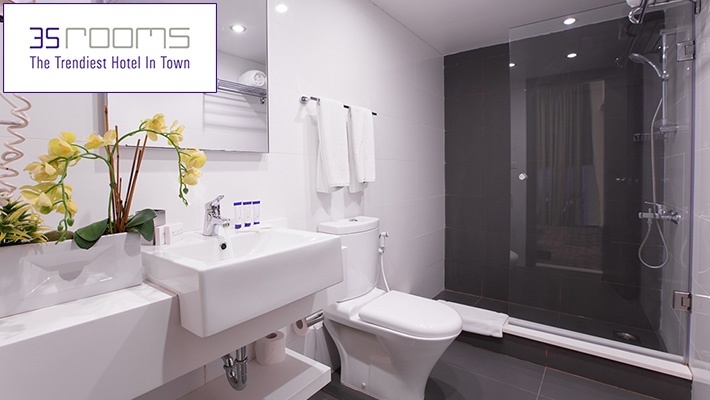 35 rooms stands out with its sleek design, professional service and friendly staff. The uniqueness of the hotel is reflected through graphical elements and welcoming colors in the hallways as well as vibrant designs in the rooms. Each room is characterized with its own style, adding flare and personalization to both short and long-term stays.